Most people probably know Sony for its TVs and gaming consoles, but the truth is, Sony is a great electronics brand all the way around. While Sony doesn’t dive into computer manufacturing as often as companies such as Apple and Samsung do, you can still find lots of great Sony computers on the market—the older Vaio laptops being a prime example. Plus, since Sony isn’t quite as well known in the tablet world, it offers great values compared to some of the bigger brands. The Sony Xperia Z2 tablet may be a bit older, but it is still a fine specimen. With the great build quality, sleek design and high performance of this tablet, it’s a wonder more people aren’t talking about it. While the Sony Xperia Z2 is aging a bit (a newer model, the Sony Xperia Z4 tablet, is now available), it’s still a solid option if you’re looking for a tablet that provides great performance and won't cost you thousands of dollars. Before you make the plunge and buy a Sony Xperia Z2 tablet, you should make sure it has all the features you need. We put this review together to give you all the information you should know about the Sony Xperia Z2 tablet, including its specs, build quality and software. If you’re having a difficult time making a decision on which tablet to buy, keep reading to figure out if the Sony Xperia Z2 tablet is the solution to your problems. Buying a tablet is a little bit different from buying a phone or computer because you need your tablet to do different things. 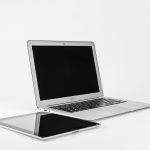 High-demand applications like video editing and gaming require the top-of-the-line hardware you’ll usually only find in laptops and desktops. Tablets, however, are about balancing power and portability. You will want to find a tablet that’s powerful enough to use for anything but won't kill your battery after a couple of hours. You also do not want a tablet that is too heavy. So, what exactly should you look for in a tablet? For starters, you should make sure the processor and RAM are both capable. Processors are a bit complicated, but you should look for a dual-core or quad-core processor with a clock speed of at least 1.3 GHz. As far as RAM goes, you’ll want at least two GB for optimal performance. Graphics are also important, but most tablets—especially the cheaper models that aren’t focused on performance—don’t have very good graphics, so you don’t need to worry too much about the GPU. Battery specs are important, but they don’t tell the whole story when it comes to battery life. For example, a larger tablet may have a more powerful battery, but it may use up that battery more quickly because it also has more powerful hardware. Look for usage time and standby time ratings to get the best idea of how long you can expect your tablet to last on a single charge. Storage is also important since you’ll need space to install all of your apps and to save the pictures and videos you capture. Most tablets come with eight, 16 or 32 GB, with the more expensive tablets sometimes offering capacities as high as 128 or 256 GB. The real key to making sure your tablet will always meet your storage needs is to find one that allows you to add additional storage by connecting a microSD card. The best tablets support microSD cards as large as 256 GB. Unless you’re buying an iPad or a high-performance tablet with Windows 10 installed, you’re going to be looking at an Android operating system. 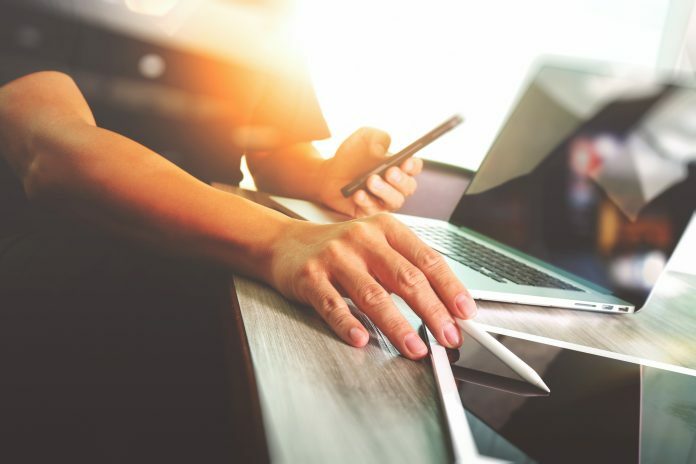 Android devices make up the majority of the phones and tablets on the market, and the operating system is constantly being updated to keep up with new demands. However, most devices are only upgradeable to a certain point, so you might want to opt for a newer device if you want the newest Android OS. 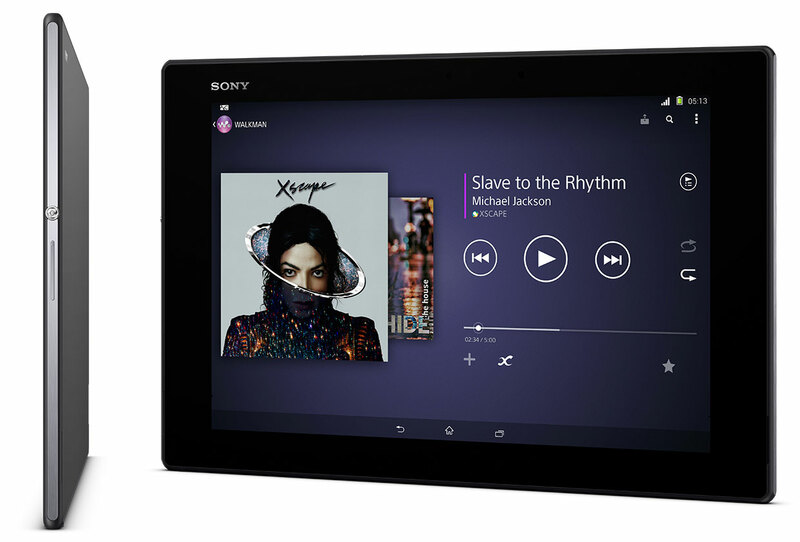 Sony ships the Sony Xperia Z2 tablet with Android 6.0 Marshmallow, which is a few versions behind the current OS. 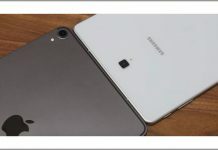 The latest tablets and phones ship with Android 8.0 Oreo or Android 8.1 Oreo, and a newer version of the Android operating system, Android P, is currently in the works. While you can probably upgrade the Sony Xperia Z2 tablet to some degree, you won’t be able to upgrade it all the way to Android P. Unless you don’t mind missing out on the features that a more current operating system offers, you might want to opt for a more recent Xperia tablet. For the most part, tablets come in pretty standard sizes, oftentimes with the same resolution. This can make it difficult to decide among different tablets. As long as you know what size tablet you want to buy, you can use that to narrow down your search and sort of forget about the display for a moment. The Sony Xperia Z2 tablet has a 10.1” display, which is right in between the display sizes of smaller tablets and larger, high-performance ones. 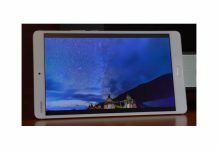 It is 6.8 inches wide, 10.47 inches tall and just 0.25 inches thick, putting it in the same category as other lightweight, high-performance tablets such as the ASUS ZenPad 10. The Sony Xperia Z2 runs at a resolution of 1920 x 1200, which isn’t bad, but it definitely leaves something to be desired since many newer tablets run at higher resolutions. A tablet’s processor, memory and GPU are its lifeblood. If there’s one feature of a tablet you need to look at, it’s processor and memory — sort of. The thing is, there aren’t a ton of CPU and GPU manufacturers, so a lot of tablets end up using the same or similar hardware. As long as you’re getting a powerful processor and a GPU with at least one GB of RAM, you shouldn’t have any problems with day-to-day tasks. With a 2.3 GHz Qualcomm MSM8974AB quad-core processor and Adreno 330 graphics, the Sony Xperia Z2 tablet is a force to be reckoned with. 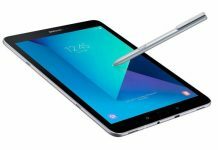 This tablet won’t rival the power of a high-end laptop or desktop computer, but it’s definitely on the higher end of the spectrum when it comes to tablet performance. It has three GB of RAM, so you will never have to worry about this tablet crashing while you are multitasking or running a demanding app. All in all, the Sony Xperia Z2 is very solid when it comes to performance, so you can trust it to tackle almost any task. While battery life is an important spec, you shouldn’t focus purely on the capacity of a tablet battery. That’s because battery life depends on a range of different factors, including how the hardware in a device interacts with the software, how powerful the hardware in a device is, and how the device is being used. If you’re watching an HD video on maximum brightness with the volume turned all the way up, you’re going to run your battery dead significantly faster than if you’re simply browsing the web. Additionally, your battery will die faster the older it gets, so you can’t expect your tablet to have the same battery life forever. All of that being said, the Sony Xperia Z2 tablet comes with a fairly powerful 6,000 mAh battery that gives you all the power you need. It’s difficult to find an actual battery life rating in terms of hours, but based on tablets with similar specs, you can probably expect the Sony Xperia Z2 to last between eight and 10 hours on a full charge when in use. Again, this depends heavily on what you’re using your tablet for, so your results may vary. You can’t have a good tablet without plenty of storage, and that often means having the ability to add more storage with a microSD card. Unfortunately, Apple doesn’t ship any of its tablets with a microSD card slot, and the same is true for many other popular tablet companies. If you can’t find a tablet with a microSD card reader, you’ll at least want to find one with 32 GB or 64 GB of storage built in. The Sony Xperia Z2 tablet comes with 16 GB of internal storage, which on its own wouldn’t be enough to get the full enjoyment out of a tablet. However, Sony put a microSD card reader in the Sony Xperia Z2, which allows you to add up to 64 GB of additional storage. Unless you’re downloading tons of music, movies and TV shows, this should be more than enough space for all of your programs, photos and videos. 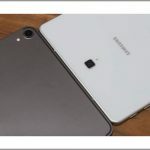 When it comes to larger tablets like the Sony Xperia Z2, the camera is often a small concern because a lot of people simply won’t take a 10-inch tablet with them everywhere they go. Despite this, the Sony Xperia Z2 has an 8.1 MP camera with 8x digital zoom that gives you the ability to record video in 1080p HD. The front-facing camera lets you take pictures at a 1080p resolution but is only 2.2 MP. Still, you will also get a range of other great features to help make your photos and videos look even better, including an Exmore RS mobile image sensor, HDR for photos and videos, burst mode for photos, scene recognition, sweep panorama, smile detection, face detection and touch focus. If you want a tablet that takes great photos and videos, this one fits the bill. The Sony Xperia Z2 runs on the Android 6.0 Marshmallow operating system, which gives you access to the Google Play store instead of the App Store you get from Apple. So, how do these two app marketplaces stack up? Unless you are looking for a pretty obscure app, there’s a good chance you can find most of your favorite iPad apps in the Google Play store. After all, most major developers release apps for both Android and iOS so they can cater to the entire market instead of just one portion of it. As a result, you can get access to pretty much anything you want no matter what type of device you’re using. As far as public opinion goes, people generally had pretty good things to say about the Sony Xperia Z2 tablet. TechRadar gave the Sony Xperia Z2 tablet a rating of 4.5 out of 5 stars, citing its light weight and incredible thinness that somehow still allow for high performance. CNET was a bit harsher with its review, giving the Sony Xperia Z2 tablet 3.5 out of 5 stars. Its biggest complaints were the large bezel around the outside of the screen and the fact that the tablet’s battery dies too quickly when the tablet is turned on but not being used. Still, CNET went on to call the Sony Xperia Z2 a viable, more affordable alternative to the iPad with 4G LTE. Last but not least, the build quality of the Sony Xperia Z2 tablet is absolutely incredible. While most tablets are fairly fragile unless you keep them in a case, Sony designed the Xperia Z2 tablet to be durable on its own. Even though this tablet weighs less than a pound, it is IP58 rated. This means that the Sony Xperia Z2 is protected against dust and water to a certain degree. This particular tablet is protected from dust almost completely, but some dust is still allowed in. The water-resistance rating is as high as it gets, so the Sony Xperia Z2 tablet can be under water deeper than one meter for long periods of time. The Sony Xperia Z2 will thus still work even if you drop it in the sink, toilet, tub or other shallow pool of water. 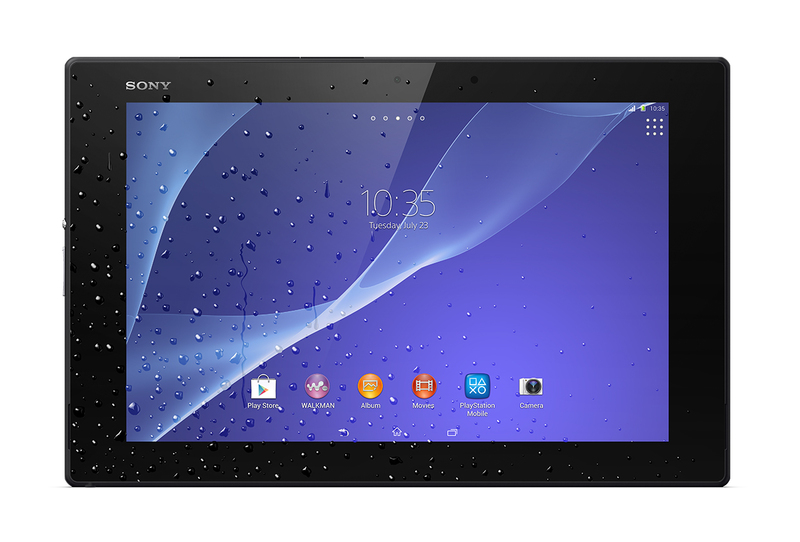 The Sony Xperia Z2 tablet is Qualcomm® Snapdragon™ 801 processor @ 2.3Ghz and supports MicroSD cards up to 64GB. However battery dies too quickly when the tablet is turned on but not being used.